Presidential Debate Lesson — It’s the Metaphors, Stupid! Two men approached the presidential stage in Denver, but only one commanded it and walked off with a memorable message for the American voter to consider. One of these men had a focused, clear message with passion and purpose. The other appeared rhetorically disheveled. If Aristotle were measuring the persuasive outcomes based upon authority, emotion and logic (ethos, pathos, logos) then Mitt Romney would have gone to the head of the class. One of the key takeaways from the first presidential debate is not necessarily how poorly President Obama may have performed, but why Mitt Romney was more effective and memorable in framing one of his key messages: government is too big. Presient Barack Obama and GOP nominee Mitt Romney at the presidential debates, October 3, 2012. His second most powerful message took a long-time democratic boogeyman—trickle-down economics—and turned in on its head. Psychological researchers have long established that people process and remember what they already know. Ralph E. Reynolds of Iowa State University writing in the Journal of Educational Psychology strongly established how metaphorical writing vastly improved recall and understanding. Likewise, Thomas J. Reynolds has published extensive works in the Journal of Advertising Research on how metaphorical references build stronger advertising messages. The theory extends to political communication as well. Eugene Miller of the University of Georgia notes that political rhetoric has always relied heavily on metaphors whether it’s assigning players to the president’s “team,” to creating programs such as the “New Deal,” “New Frontier,” or “War on Poverty.” One of the most effective uses in a campaign came from Walter Mondale in 1984 when he blatantly stole a line from a Wendy’s hamburger commercial to describe rival Gary Hart’s domestic policies: “Where’s the beef?” The metaphor was devastatingly effective. Within weeks Hart’s campaign ended and Mondale won the democratic nomination. In this new era of explosive mediated social dialog, the Big Bird metaphor has become an instant internet meme. Within minutes of Romney’s reference, satirical Big Bird pages surfaced on Twitter and t-shirt designers went to their screen printers. Internet searches for both Romney and Big Bird skyrocketed. 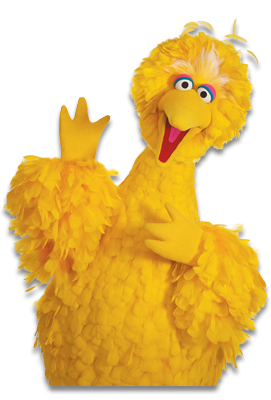 (Figure 1) By week’s end, the Big Bird reference even became material for Saturday Night Live’s Weekend Update. Mitt Romney’s chief goal in the coming weeks is to change the attitudes of the extremely narrow percentage of voters who have yet to make up their minds. In the first debate, he’s given them two symbolic images to consider. Wouldn’t it be ironic if come election day the chief lesson of the fall campaign didn’t come from 1600 Pennsylvania Ave, but instead from an address on Sesame Street.